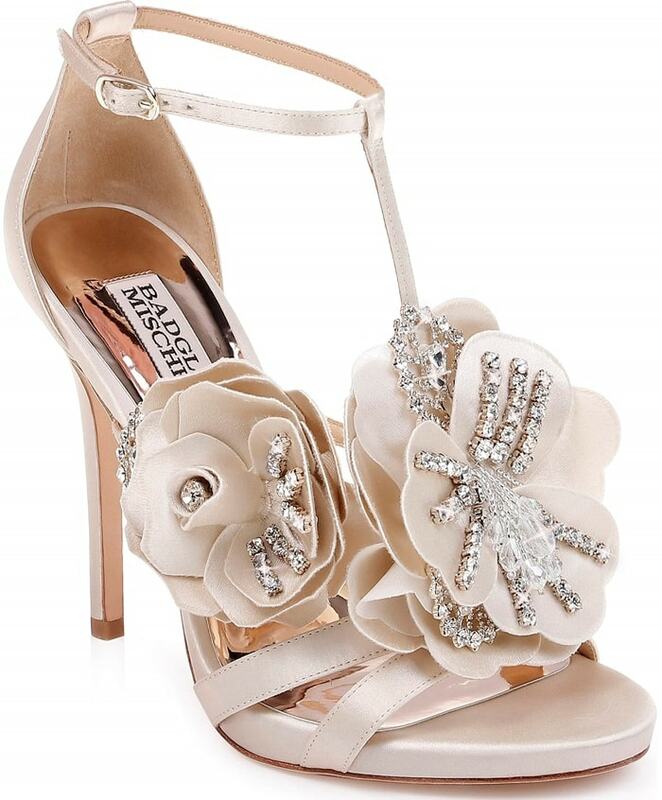 Sparkling crystals embellish the 3D blooms at the toes of this show-stopping sandal from Badgley Mischka that’s available in black satin, ivory satin, and soft blush satin. 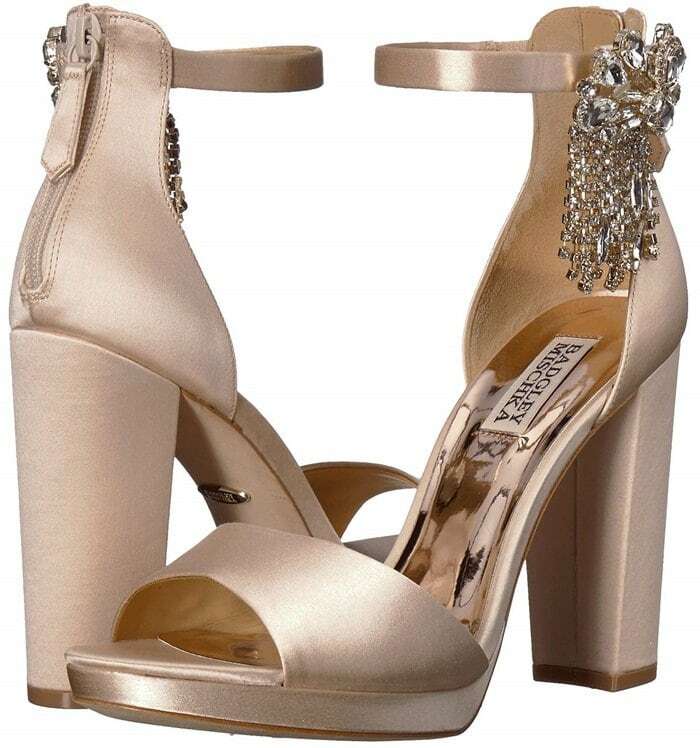 It is lifted by a tall, tapered heel. 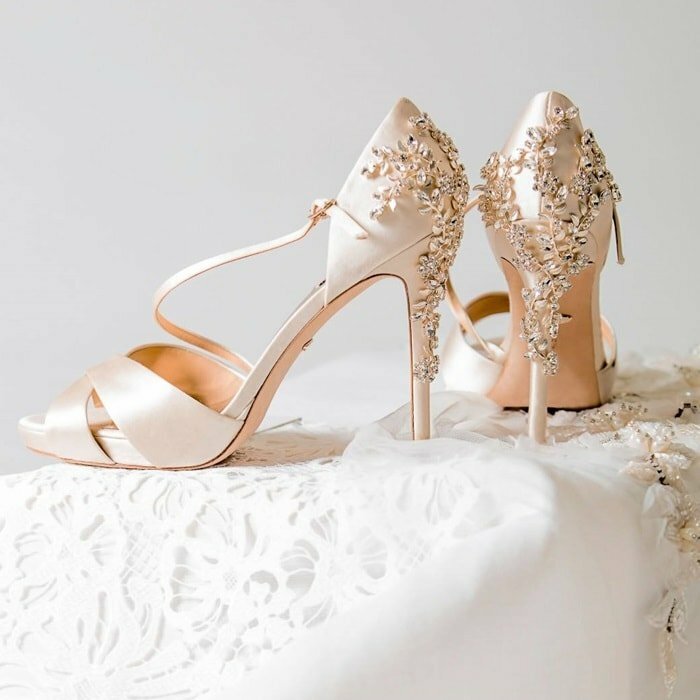 We also love the following new shoes from the same footwear label. Which style is your favorite? 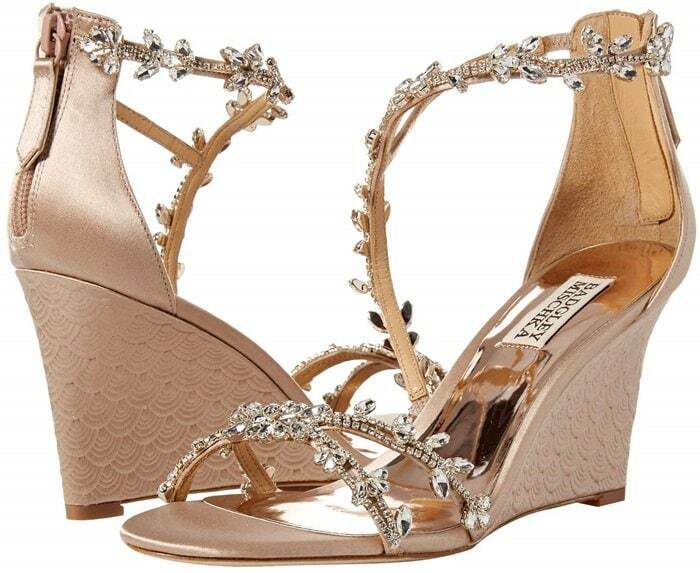 Leafy, crystal-encrusted hardware adds undeniable glamour to this lofty special-occasion sandal. 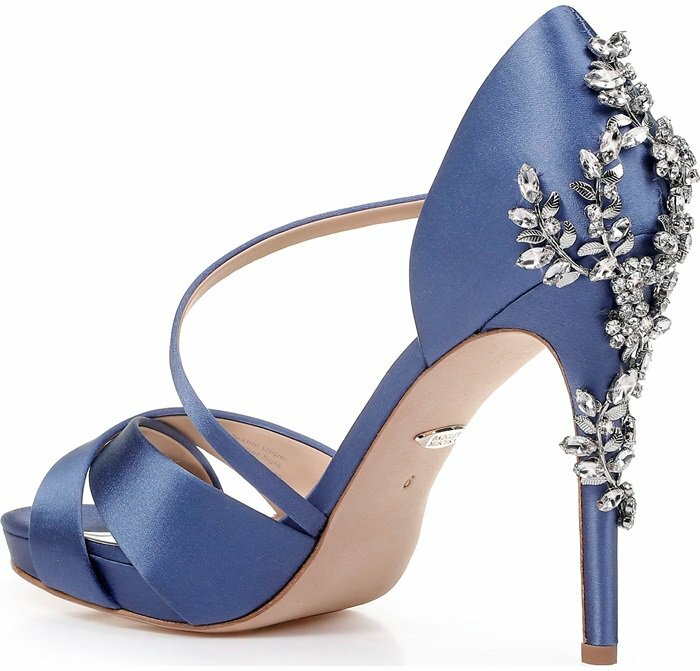 A dazzling crystal brooch highlights the slim ankle strap of a satin sandal set on a lofty column heel. 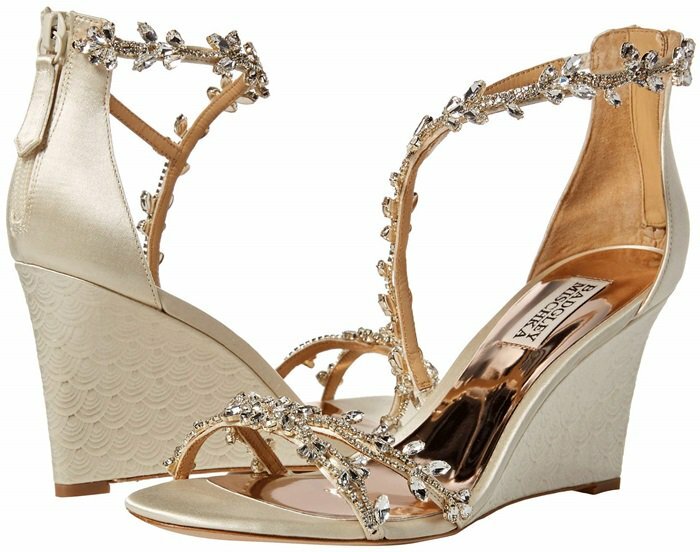 Delicate crystal leaves and feathers trace the asymmetrical straps of an enchanting satin evening sandal. 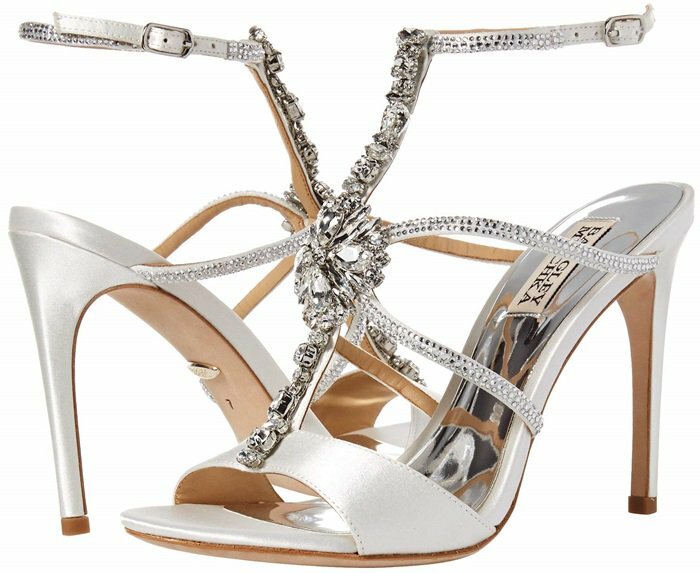 Straps embellished with vines of sparkling crystals illuminate an elegant sandal that’s lifted by a svelte stiletto and secured by satin ties at the ankle. 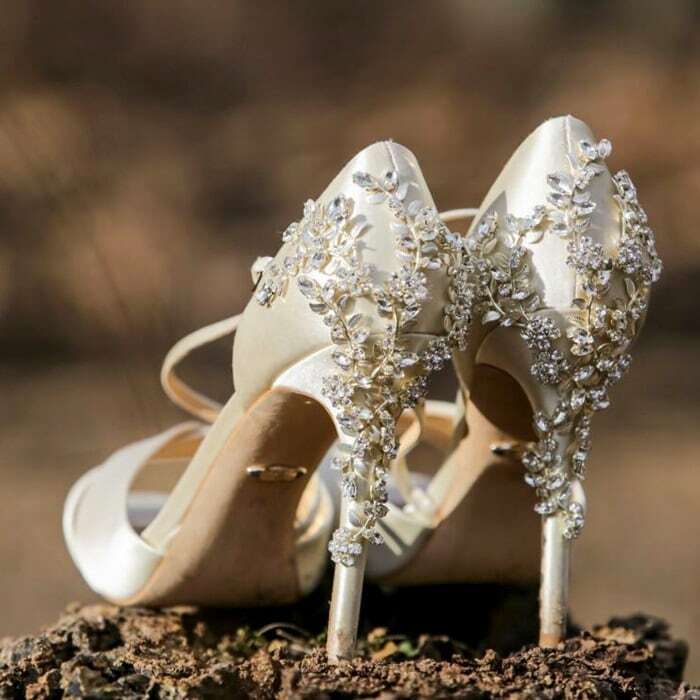 Your competition will be fit to be tied when you steal all eyes in the room with the stunning twist of these heeled sandals featuring a satin upper with a crystal-adorned bow at the ankle.